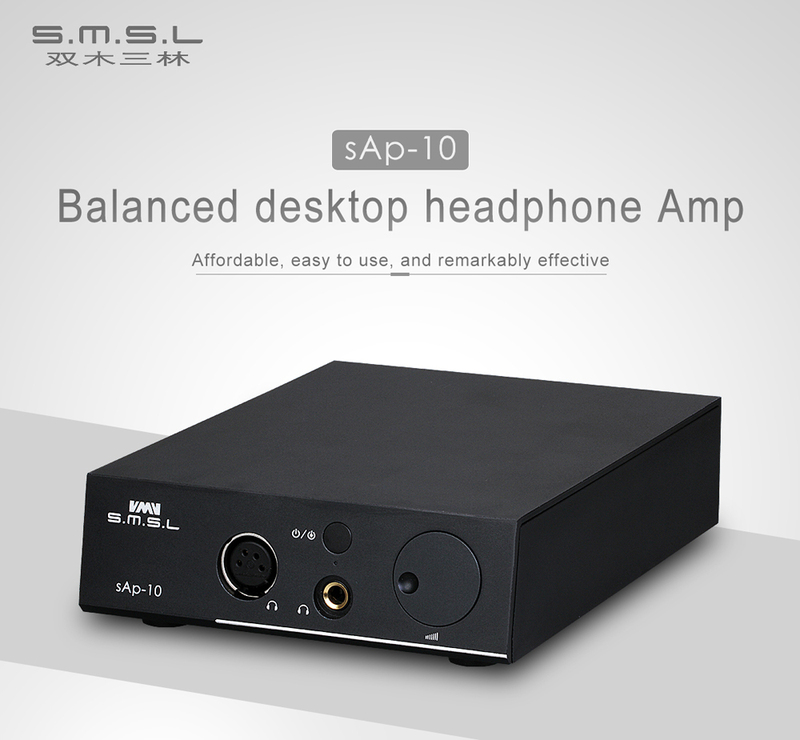 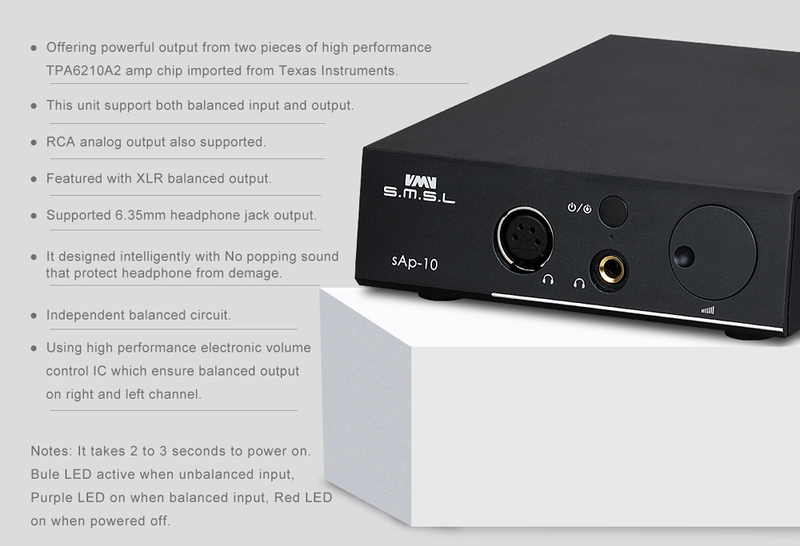 SMSL SAP-10 balanced headphone amplifier Built-in high performance and low-vibration TRAID transformer from USD to power the amp sufficiently. 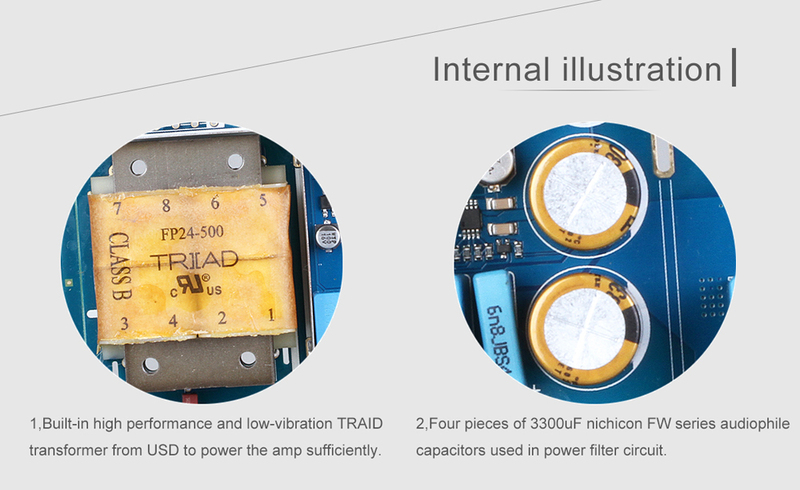 Four pieces of 3300uF nichicon FW series audiophile capacitors used in power filter circuit. 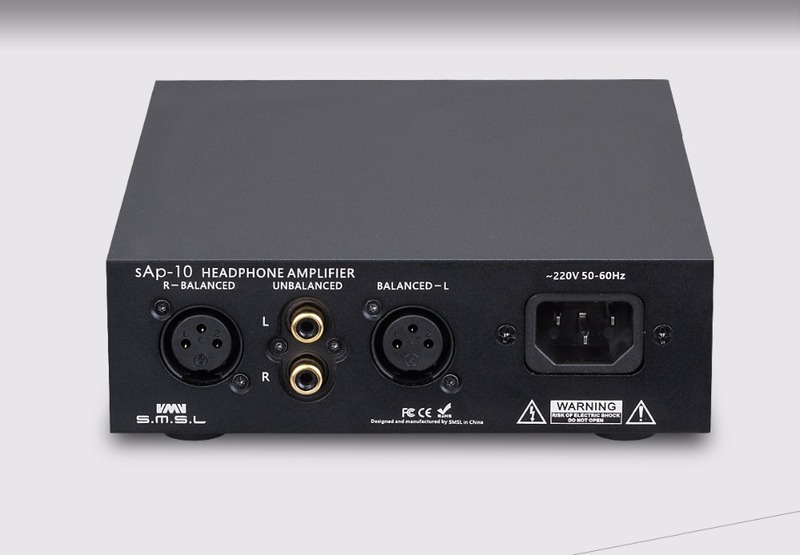 Signal coupling aspect,SAP-10 uses 10 pieces of epcos audiophile standard film capacitor. 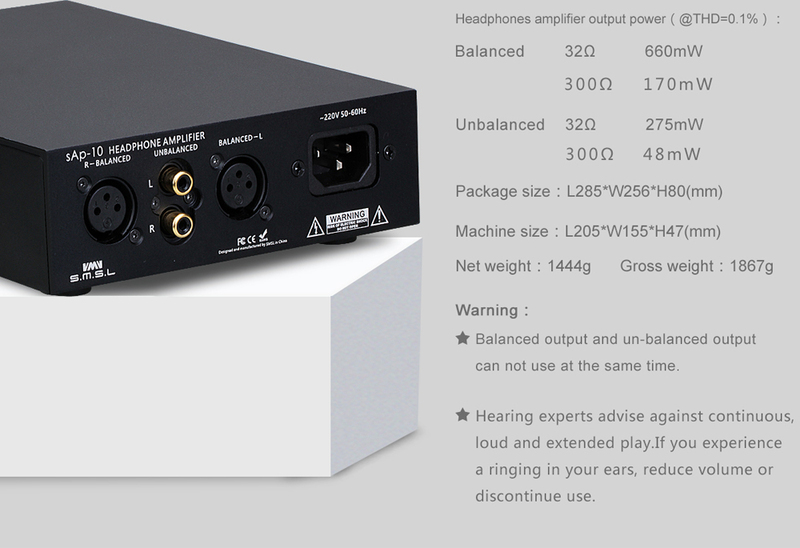 It uses audiophile four channel ultra-low distortion NJW1195 volume control chip which ensure balanced output of right and left channel and absolutely balanced phase. 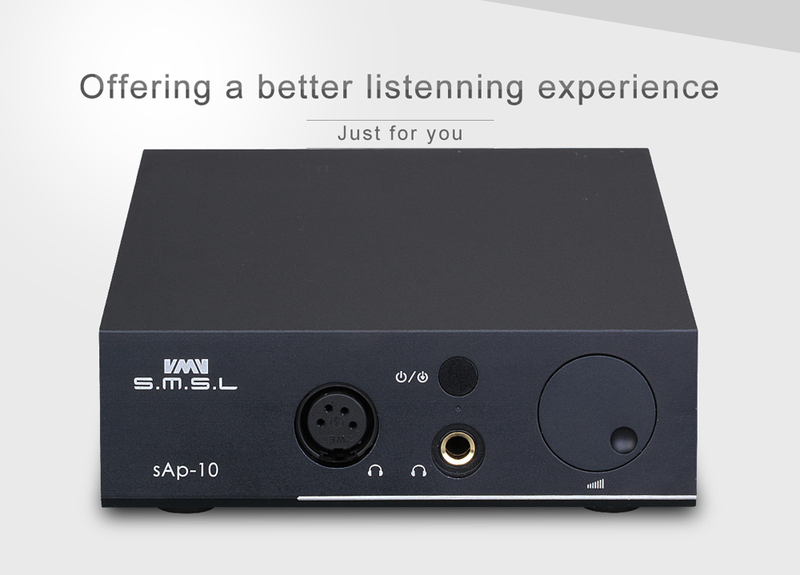 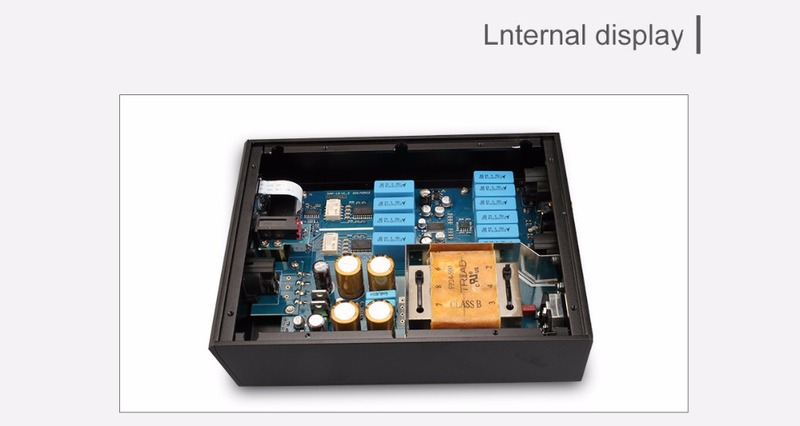 Using two pieces of advanced TPA6120A2 headphone amp chip which ensure to offer big power and low distortion. 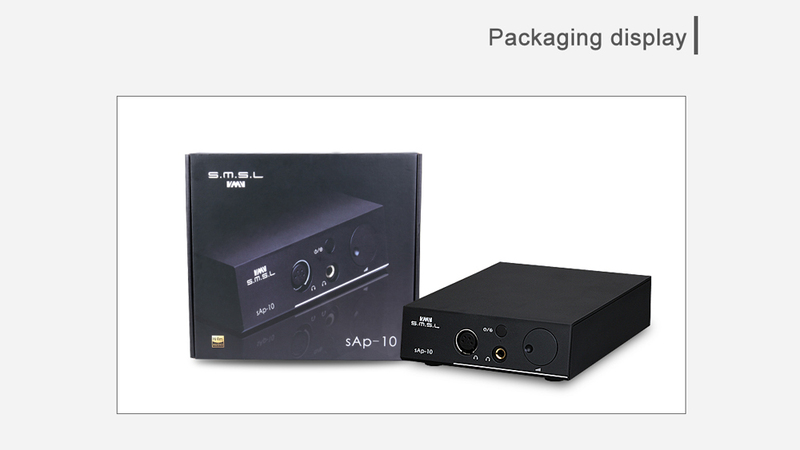 Panasonic relays used to protect headphone damage from popping sound and reduce lossless of audio signal. 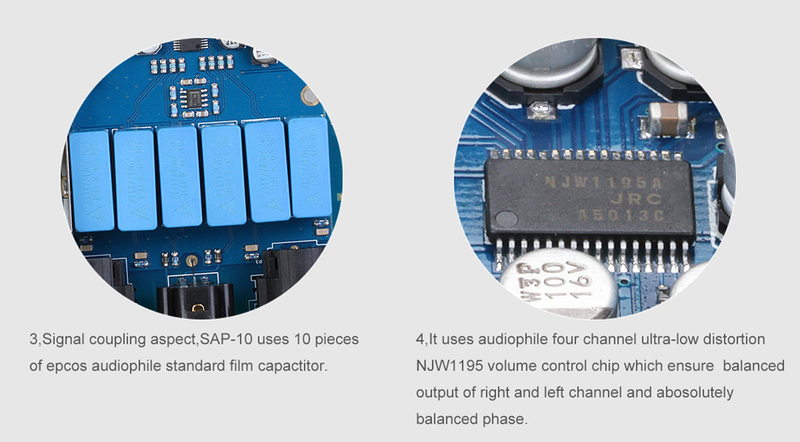 All the jacks are gold-plated, durable and reliable. 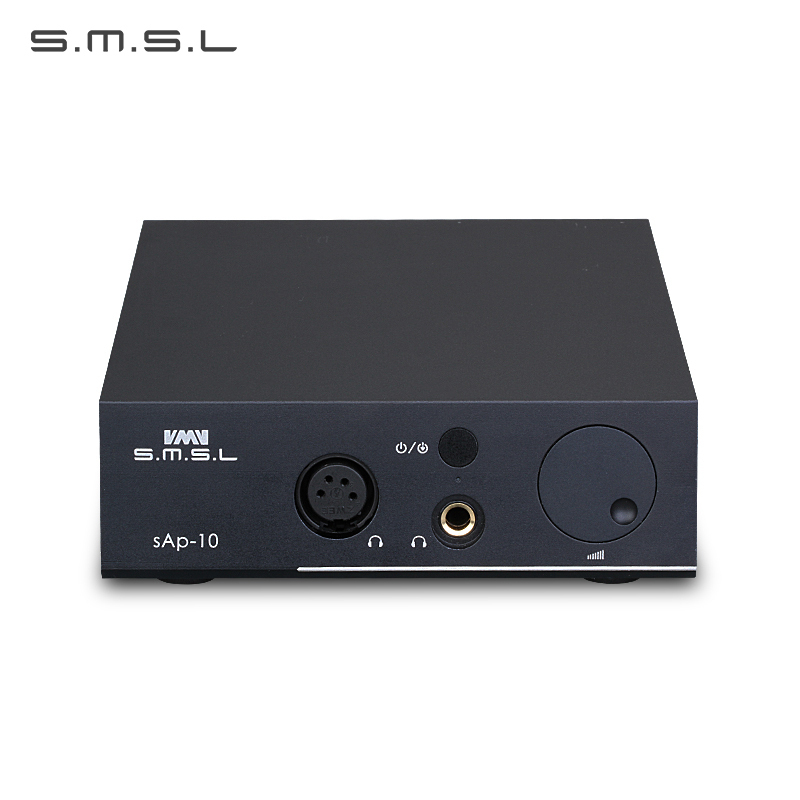 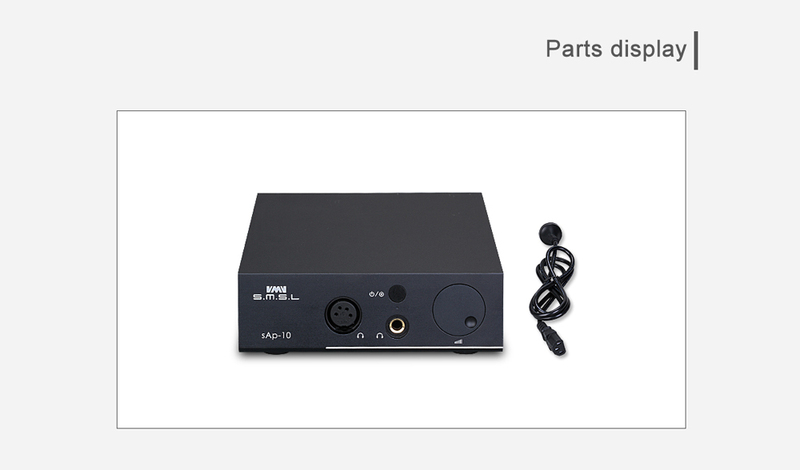 Specification: Model: SAP-10 Category: Balanced Headphone Amplifier Input interface: RCA / XLR Output interface: four core XLR jack/ 6.35mm headphone jack SNR: 104dB Headphone amplifier output power ( THD + N = 0.1%): Balanced：32 ohm 660mW 300ohm 170mW Unbalanced: 32 ohm 275mW 300ohm 48mW Power consumption: 5.5W Package size:L285*W256*H80mm Machine size:L205*W155*H47mm Net weight: 1444g Gross weight:1867g Note: The balanced output and the unbalanced output can not be used at the same time!